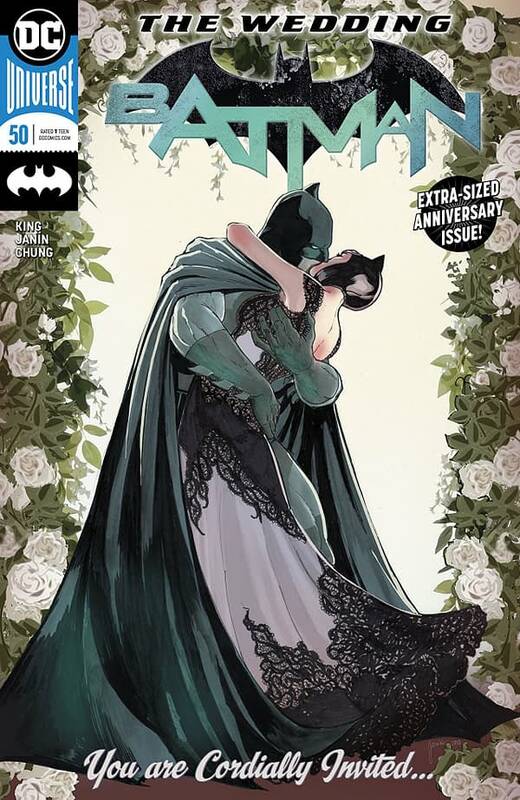 The day of Batman and Catwoman’s wedding has arrived at last, and the two gather their witnesses and a judge to marry them off at dawn on a rooftop in downtown Gotham. While they prepare, Bruce and Selina individually reminisce about their times together, each other, and how their relationship has developed over the years. As the title says, this will be a spoiler-free review. I don’t want to ruin the story for anyone, but it is a hard comic to not spoil. Batman #50 is a payoff to months of build-up in Batman comics. The plot is light in this one, so talking about the high points of the story would inevitably be spoiler territory. 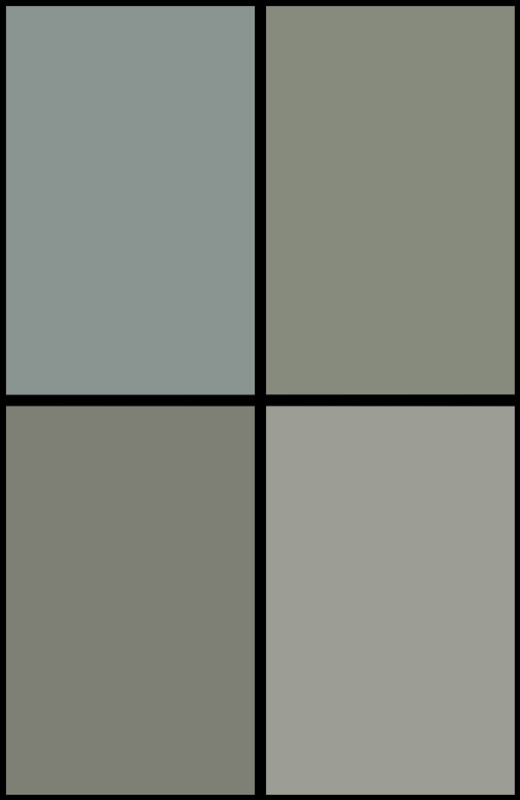 I can say that the reminiscence isn’t quite what it seems, and it takes up most of the book’s runtime. The writing here is great. It’s sincere, personal, and affectionate. The art is gorgeous throughout, with a murderer’s row of talented industry veterans contributing the art to the book. There’s also a moment between Bruce and Alfred that is a genuine tear-jerker. That’s all the nice things I can say about the comic, because this is one of the most profoundly unsatisfying comic experiences I’ve had considering the build-up and potential of this one. This is the kind of bad comic that can only come from a talented creator. This is due both to how there are some good ideas in #50 and how often Tom King’s Batman is great. I believed this was going to be a brilliant climax to the series because I had faith in King to deliver. However, the lack of story mixed with an ending that looks to only lead into another run-of-the-mill Batman story left #50 as one of the most disappointing comics I’ve read as of late. Again, it’s worth mentioning that it was a disappointment because of the genuine potential it had. The reason for what does happen is very… well, stupid, and only makes sense if you have a very warped perception of what a kindness is. It’s also rooted in the parts of the Bat mythos that once made me the Batman Hater; it also makes one of the main characters far less likable. Like I said already, the art is great. Mikel Janin and June Chung nail it in the main thrust of the artwork. The likes of Becky Cloonan, Frank Miller, Neal Adams, Tony S. Daniel, and Jason Fabok contribute some gorgeous artwork to the remainder of the book. Batman #50 is a massive letdown of a comic. It shoots for meaning and deep emotional resonance but trips itself up on its own perception of what the Batman should be. It’s a visually gorgeous book, and some of the writing is genuinely eloquent and beautiful. However, the whole is far less than the sum of its parts, and I can’t recommend it.